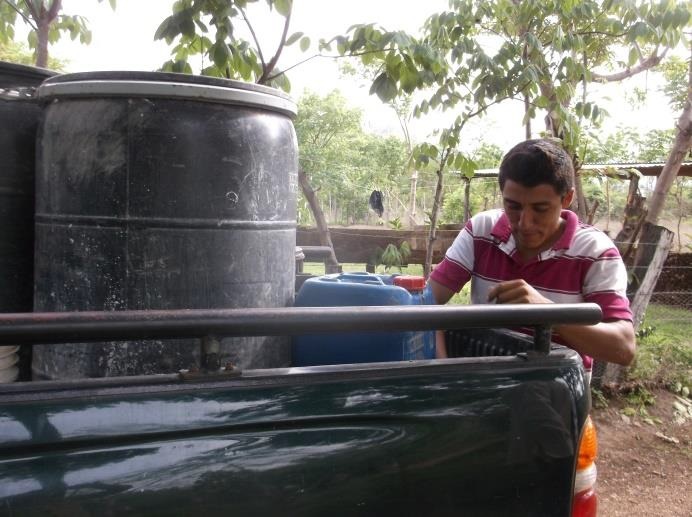 Hauling water in San Lorenzo so the in-school feeding program can happen. The barrels fill the pila to wash dishes, the water jugs are for filtered drinking water. Read more in Jeannie’s June Newsletter!